A croquette is a small fried food roll containing usually as main ingredients mashed potatoes, and/or minced meat (veal, beef, chicken, or turkey), shellfish, fish, vegetables, and soaked white bread, egg, onion, spices and herbs, wine, milk, or any of the combination thereof, sometimes with a filling, often encased in breadcrumbs. 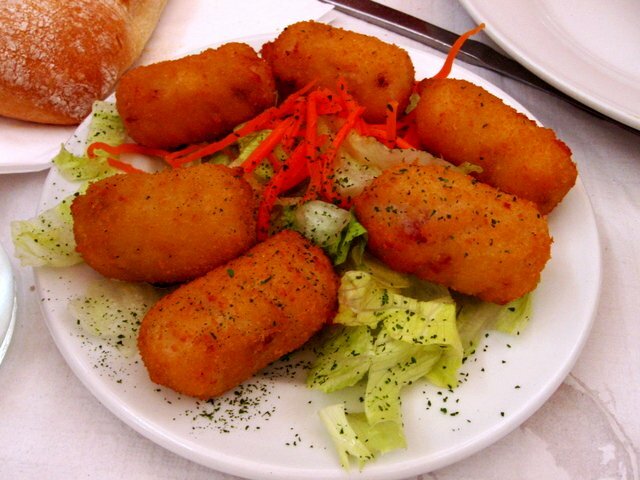 The croquette is usually shaped into a cylinder or disk, and then deep-fried. The croquette (from the French croquer, “to crunch”) was a French invention that gained worldwide popularity, both as a delicacy and as a fast food.